A powerful job tracking tool for your students, a career advising platform for your organization. All in one platform. Provide each student with a powerful tool to organize their job search. Help them track all opportunities in one place while keeping tabs of tasks, notes, company details and important dates. 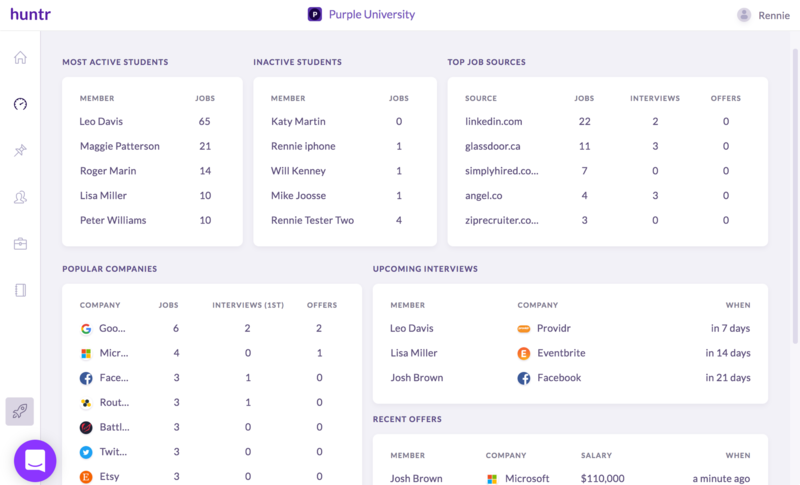 Each student gets a premium Huntr plan, with the ability to track unlimited jobs and view metrics about their job search. Know when an job seeker interview is coming up and schedule a mock interview. Get notified when a new offer is received and offer job seekers salary negotiation tips. Get conversion metrics for a specific member to identify bottlenecks in their progress. 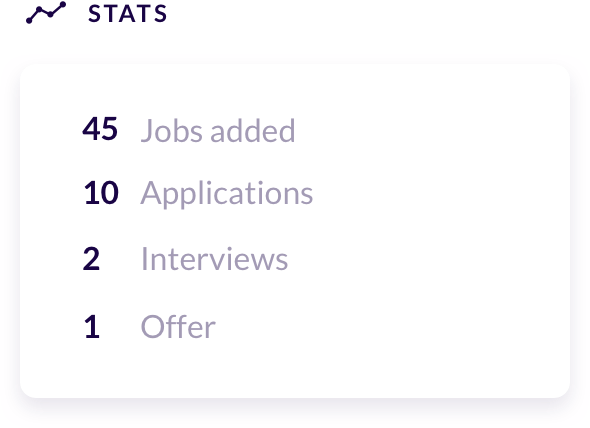 Get a full overview of each members’ job search progress. 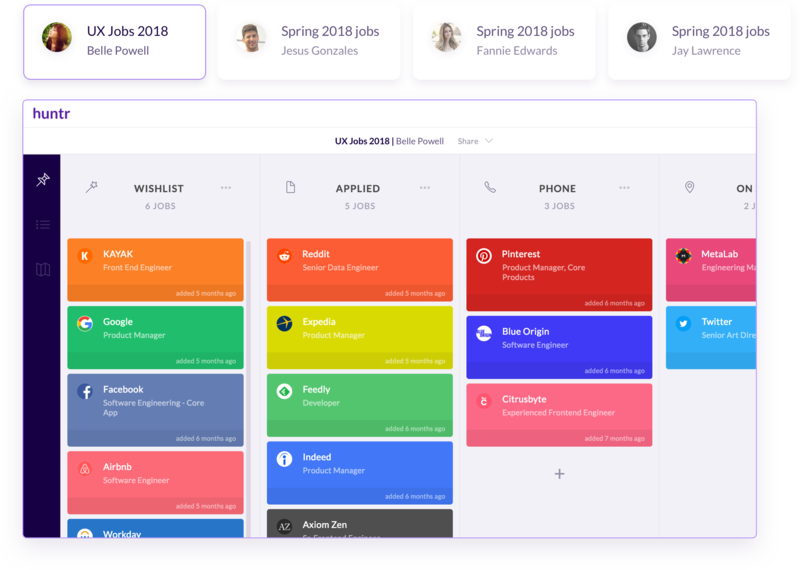 Jump into any board and know where they stand in seconds, from how many opportunities they’ve applied to, to every company they’ve shown an interest for. 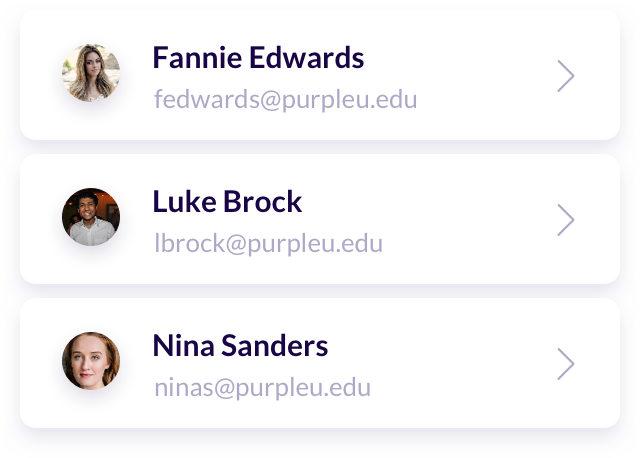 Huntr tracks student’s job search activities, from jobs added, to applications, interviews, offers and custom tasks; keeping students accountable for their job search success. 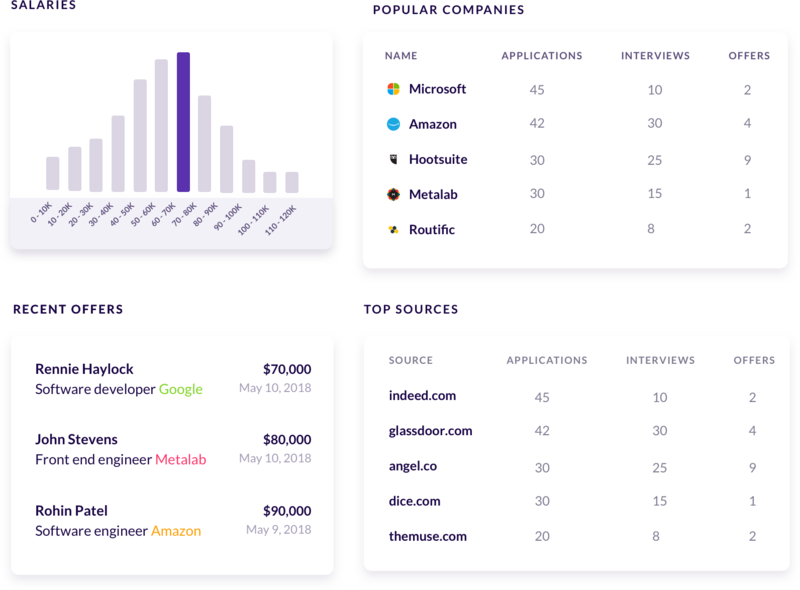 Guide your job seekers with fixed stage pipelines created by your team. 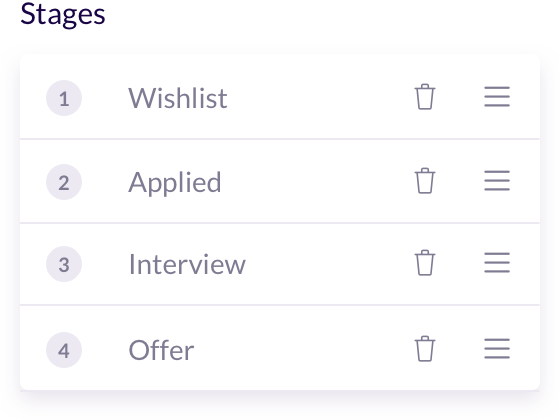 Custom templates allow you to show your job seekers the steps they need to go through to reach their dream job.